Paulene caters for all your baking and accessory needs. 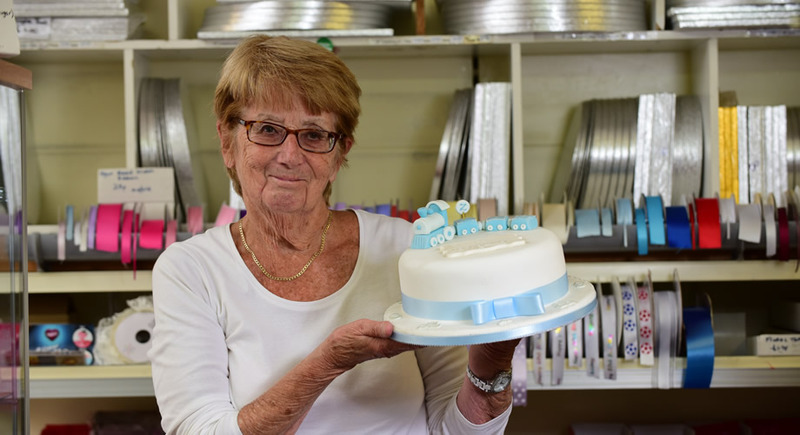 Paulene has traded for 43 years and recognises that cake is loved by everybody and goes hand in hand with celebrations and occasions. Although, designing a cake isn’t the easiest of tasks, Design a Cake is here to help. It’s a cake baker’s haven, with all you need to create your very own masterpiece from cake boxes to ribbons, cake boards to ready iced fruit bases, cake toppers and sugar craft supplies. You will be spoilt for choice.